The islands products and specialties are synonymous with sun, sand beaches and holidays. Why await your next stay on an island to taste these products ? The producers and companies introduced below, allow you to taste at home, year around, the islands specialties and flavors. 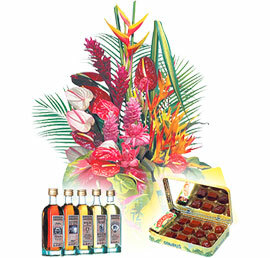 Colipays : the best products from Reunion Island, delivered at home in 48 to 72 hours. If you are yourself, an island producer or company, you can display your products on the "World of Islands" web site. For that purpose, please send us an e-mail to marketing@world-of-islands.com.